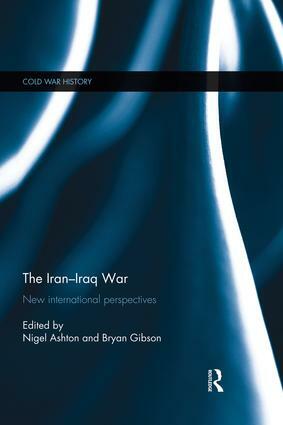 This volume offers a wide-ranging examination of the Iran–Iraq War (1980–88), featuring fresh regional and international perspectives derived from recently available new archival material. Three decades ago Iran and Iraq became embroiled in a devastating eight-year war which served to re-define the international relations of the Gulf region. The Iran–Iraq War stands as an anomaly in the Cold War era; it was the only significant conflict in which the interests of the United States and Soviet Union unwittingly aligned, with both superpowers ultimately supporting the Iraqi regime. The Iran–Iraq War re-assesses not only the superpower role in the conflict but also the war’s regional and wider international dimensions by bringing to the fore fresh evidence and new perspectives from a variety of sources. It focuses on a number of themes including the economic dimensions of the war and the roles played by a variety of powers, including the Gulf States, Turkey, France, the Soviet Union and the United States. The contributions to the volume serve to underline that the Iran–Iraq war was a defining conflict, shaping the perspectives of the key protagonists for a generation to come. This book will be of much interest to students of international and Cold War history, Middle Eastern politics, foreign policy, and International Relations in general. Nigel Ashton is Professor in International History at the London School of Economics and Political Science. He is author/editor of six books, including, most recently, King Hussein of Jordan: A Political Life (2008). Bryan Gibson is a PhD Candidate in International History at the London School of Economics and Political Science. He is the author of Covert Relationship: American Foreign Policy, Intelligence, and the Iran–Iraq War, 1980–88 (2010).